Talking on the phone and in a one-on-one settings doesn’t always give the candidate or your recruiters the best idea of who you are to each other. Sure, hiring events can be intimidating to recruiters, but events are what separates you from your competitors. Companies that go to hiring events see who a candidate is in person, meet a large number of candidates quickly and get to see a more diverse candidate pool. This and more, makes hiring events launch you head and shoulders above the competition. Hiring events usually last about three or four hours. In that time, recruiters have the opportunity to meet dozens of candidates. If you have more than one recruiter at the event, that number doubles. They may not get to know every candidate, but it’s a way to screen the initial group to go through the process. Everyone wants to be heads and shoulders above the competition. 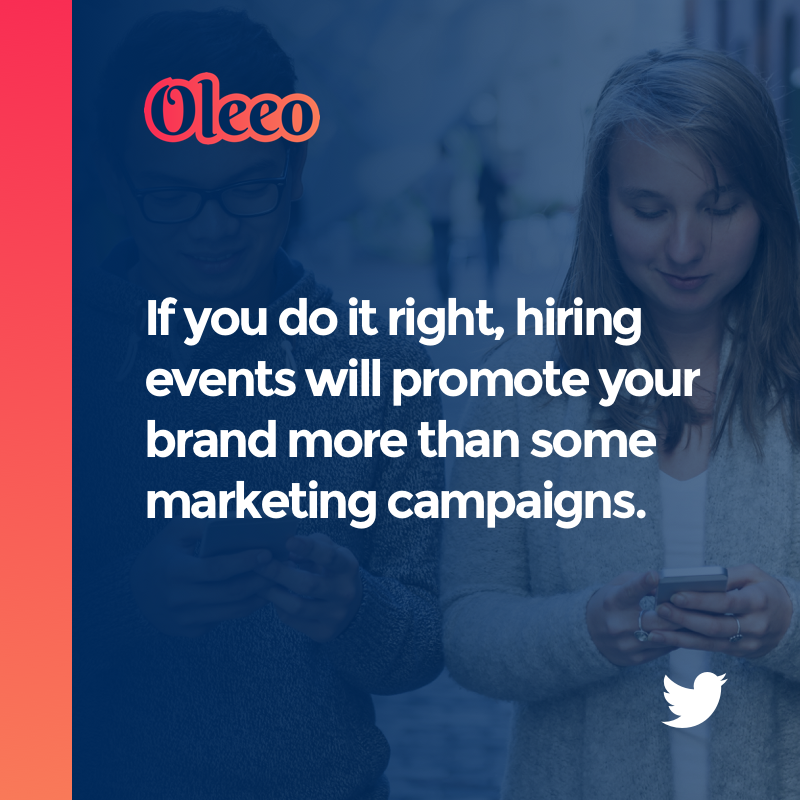 @Oleeo_ explains why #HiringEvents will get you there.Tweet This! If you do it right, the hiring event will promote your brand more than some marketing campaigns. By using dedicated event hashtags before, during and after the event, you’ll be able to get your name out. Additionally, the way your recruiters present themselves and your company gives the candidates everything they need to know about why they should work there. With a large number of people at hiring events, you will attract, engage and hire the right diversity for your company. The tech position you’re trying to fill might be able to be filled by the liberal arts student attending the event, bringing in a different way of thinking. First impressions matter. The candidate you get during an in-person or phone interview might not be the candidate who walks through the door on their first day of work. Hiring events give you the opportunity to see candidates in a different environment surrounded by their peers. Hiring events aren’t all about checking out the candidates, they can also be used to network and see what the competition is up to. Events present you with the opportunity to walk around and see what you could offer to other companies and what they could offer you. #HiringEvents give you the best chance at meeting your #recruiting goals and beating the competition...if you do it right. 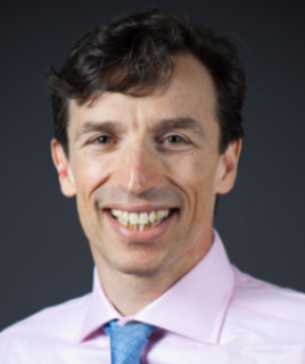 @Oleeo_ lays out why you should be utilizing hiring events. Tweet this! Many events give you a list or have a system to connect with attendees before, during and after the hiring event. This gives you the best advantage against the competition because you’re able to talk to candidates and engage from every aspect of the hiring process, not just the interview. The problem with the traditional hiring process is there’s no way for candidates to size each other up and know who they’re up against. With hiring events, candidates are able to see who’s going to what booth and what each has to offer. This makes events slightly less intimidating because they know what you’re looking for as a corporation. Ready to go above and beyond your competition? High-volume hiring events are the way to go. From promoting your brand to making your candidates feel more comfortable and everything in between, hiring events offer the most benefits to your recruiting process. Get up to date with the latest hiring event trends from our report to recruit the best talent for your business!